Pimento cheese is a quintessential Southern recipe. Serve it with Wheat Thins, corn chips or raw veggies like celery and carrots, and it makes a great snack or appetizer. I grew up eating it in sandwich form on sliced bread but have seen it’s latest debut in high-end restaurants served bubbly, heated on toasted rounds. My mom even has an alternate version where she subs a can of Rotel for the jar of pimento. It makes a juicier dip that goes will with chips. 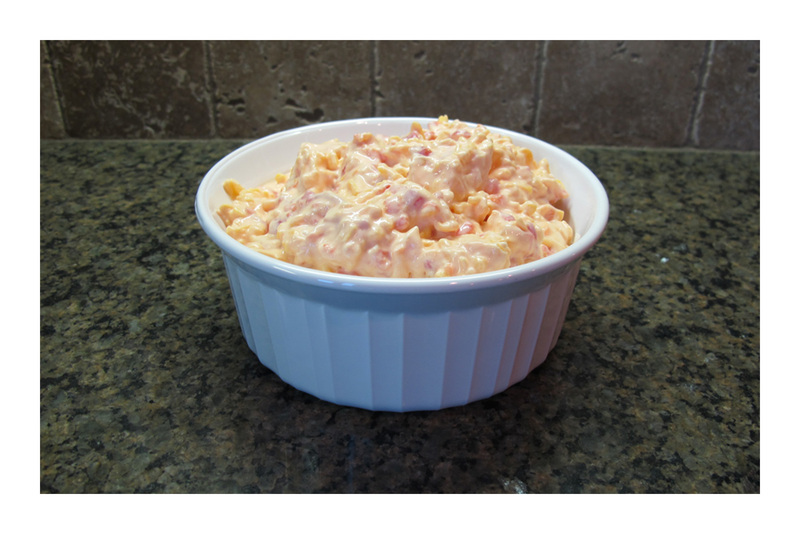 While folks rave over my mom’s pimento cheese, most may be surprised to learn just how easy it is to make. This is her traditional recipe. Leave the cream cheese out for a couple of hours to get room temperature and soften – it needs to mix well with the other cheese. Stir together cheese, pimento (with juice! ), onion and Tabasco (to taste). Grate the onion – not chopped – and use all the juice as well. The Tabasco should add flavor, not make it hot. I love pimento cheese. 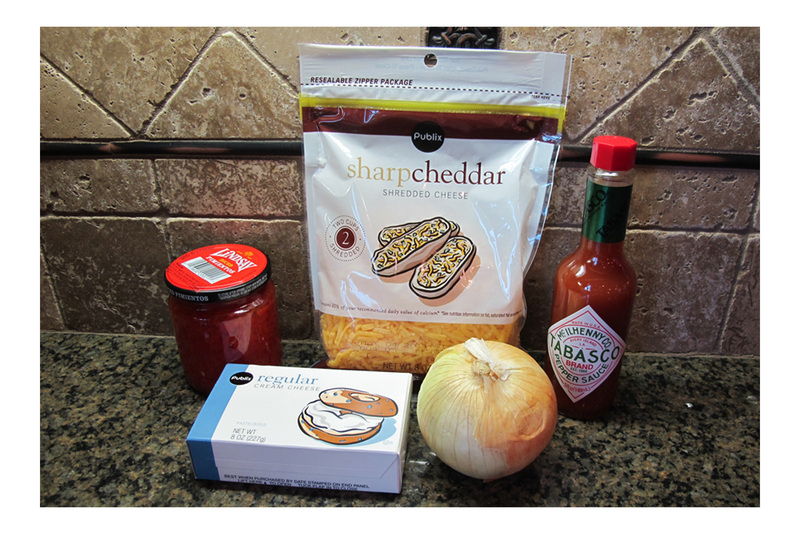 Our “family” recipe just calls for cheese, pimento and mayo. I may have to give yours a try! Try it, Rebecca – I don’t think you’ll be disappointed! Good seeing you this morning & again, THANK YOU for all the magazines!